If you’re interested in purchasing leather products, we have the perfect items for you. Our craftsman makes everything from braided leather watch fobs, eyeglass pen and pencil holders to knife and ax sheaths, holsters, bridles, breast collars, dog collars and leashes. Restoring the look of your damaged western horse saddle doesn’t have to be a challenge. Turn to our talented professionals for detailed leather repair services. 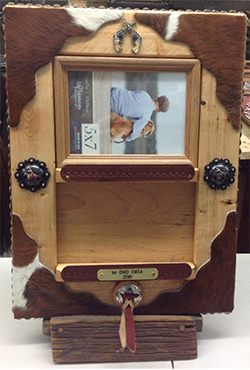 At Schaaf Saddlery & Leather Work, we keep our customers up to date on all of our services. Check out our frequently asked questions to find an answer to your inquiry. There are two ways to order. You can call us at (513) 713-1789 and tell us what you are looking for, or for your convenience, click on shop now and order online. If there is an item that you have purchased in the past and can't find on the website, give us a call and we'll make it for you. We look forward to hearing from you. 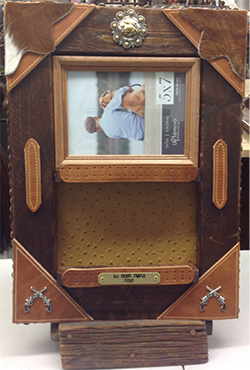 These cases are made to order based on the number of buckles you want to display. 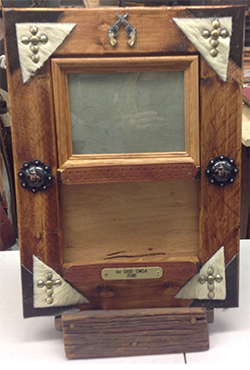 These are a great idea as a gift or for awards for a large number of contestants. 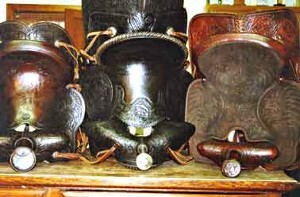 Schaaf Saddlery & Leather Work is family-owned and offers reasonably priced leather goods. Our Hamilton, Ohio-based experts are very creative and talented. 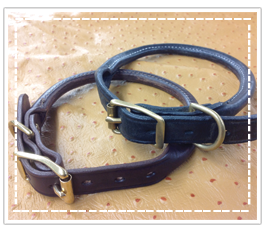 We can create all types of custom leather products for you, including belts, holsters, dog leashes, breast collars and head stalls. When it comes to customer service, we take it very seriously. You don’t have to worry about receiving poor service or assistance. We enjoy helping each and every person that shops with us. Visit our store today for top quality leather goods and repair services. We look forward to meeting you.